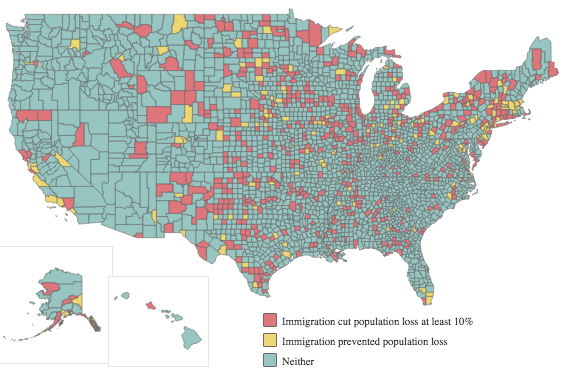 Rural communities have unique health-care needs: accessibility, a lack of providers, the needs of an aging population suffering from a greater number of chronic conditions, and larger percentages of people without health insurance or enough insurance. On top of that, rural hospitals – many of which are local economic linchpins – struggle with declining government reimbursements and the lack of Medicaid expansion in many states. For these reasons and more, the National Organization of State Offices of Rural Health observes each third Thursday of every November – this year, Nov. 15 – as National Rural Health Day. "First and foremost, National Rural Health Day is an opportunity to 'celebrate the power of rural' by honoring the selfless, community-minded, can-do spirit that prevails in rural America," NOSORH says. "But it also gives us a chance to bring to light the unique healthcare challenges that rural citizens face – and showcase the efforts of rural healthcare providers, state Offices of Rural Health and other rural stakeholders to address those challenges." 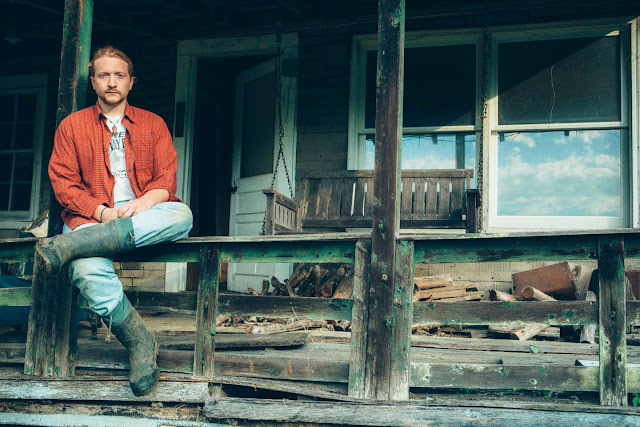 This article is a few months old, but provides a great in-depth portrait of singer and songwriter Tyler Childers, an Eastern Kentucky native who has "earned praise from, and comparisons to, John Prine." Childers, 27, was in high school when ABC News's "20/20" came to town for a report on children in Appalachia. He and many others disliked it for what they considered its use of stereotypes, especially after Diane Sawyer's crew gave out Mountain Dew and encouraged locals to drink it while they filmed, then reported on the prevalence of tooth decay because of drinking the sugary soda. "This split reality — the way the media and the rest of the world, outside of his community, portrayed Appalachia and blue-collar America, and the way he saw it day to day — clearly left an impression," Marissa Moss writes for Rolling Stone. "Childers started writing songs about what life was really like up in those hills — on 2011’s Bottles and Bibles, recorded in a friend’s backyard studio, he sings about the struggle to raise a family and put food on the table with one foot in the coalmine and one in the grave ('Hell’s probably better than trying to get by,' he laments in the song 'Hard Times.') Childers was a teenager, but he wanted to tell the world what existed beneath the 'Mountain Dew Mouth' narrative, and he wanted to tell the people who lived there that he understood their plight. And that he would tell their truth. . . . Childers was a red-haired kid who wanted to be a journalist or an English teacher, but that changed once he started playing the guitar." Kathryn Hardison of The Missourian, KOMU-TV and KBIA-FM have collaborated to produce "Evaporating," a stellar three-part package exploring the Show-Me State's dwindling dairy industry. In the first piece, Hardison reports that consumers who care about locally grown food may have a hard time finding local milk: "Missouri is in a milk deficit. There isn’t enough milk to meet all of the state’s dairy needs — fluid milk, cheese, yogurt, ice cream. Missouri is already importing milk from other states for consumers, and that trend will only continue as its dairy footprint becomes smaller." The number of cows in the state has decreased from 27.8 million in 1945 to 84,000 in January 2018, the lowest number in more than a century. Some of the local shortage is because most milk processors in Missouri are cooperatively owned and move milk where it gets the best price. The second piece is about the trend of consolidation that Missouri dairy farms have seen in recent years, and why that means fewer young people are getting into the business: "Larger dairy operations skew the economies of scale that small dairy farmers are so used to operating on. There's an oversupply of milk in the country, and milk prices are falling. 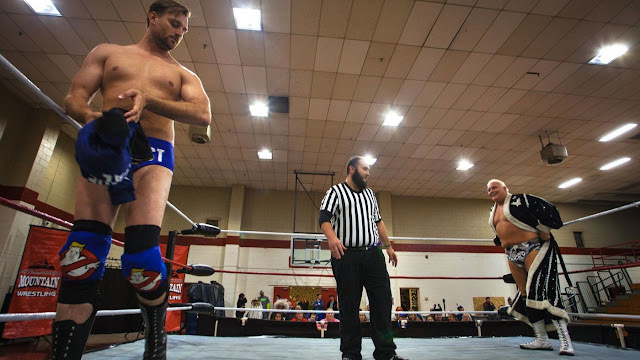 The cost of becoming competitive is much larger than the size of the paycheck. The job is too labor-intensive to interest a young person." The third piece explores what life is like for small dairy farmers and the financial pressures they face as they try to adapt to the modern dairy market. Third-generation dairy farmer Sean Cornelius told Hardison "Our cost of living has gone up so much, and our cost of what we sell has gone down; it’s just the reality is it takes more units of that small margin to be able to make a living." A new U.S. Department of Education report says telehealth isn't being used by those who need it most. Rural Individuals' Telehealth Practices: An Overview says the need for telehealth may be greater in rural areas, but rural residents were less likely to use it. Study author Peter Stenberg, a USDA economist, used data from the Census Bureau's 2015 Current Population Survey to analyze how Americans age 15 and older use three basic telehealth activities: online health research, online health maintenance, and online health monitoring. Online health research is essentially what it sounds like: looking up questions about one's health and healthy practices online. 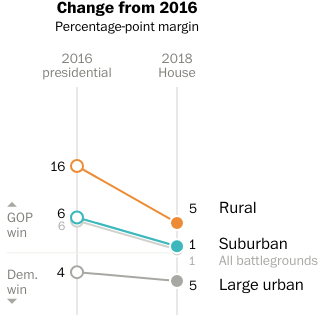 Rural vs. urban response was not much different here: 17 percent of rural residents and 20 percent of urban residents conducted online health research in the survey. Education was a bigger factor: 29 percent of college-educated respondents did online health research compared to 13 percent with a high school diploma. There was no difference in responses among different income levels. Online health maintenance means maintaining medical records, paying medical bills, and/or communicating with a health care provider. Only 7 percent of rural residents did this in 2015, compared to 11 percent of urban residents. Respondents with higher income and education were more likely do conduct online health maintenance. Online health monitoring means using health monitoring devices such as medical alert devices or implants that connect wirelessly to the internet to constantly monitor health conditions such as heart disease. "The devices can allow individuals to stay home rather than at a hospital, hospice, retirement home, or some other health facility," Stenberg reports. 1.3 percent of rural residents used such monitoring compared to 2.5 percent of urban residents. 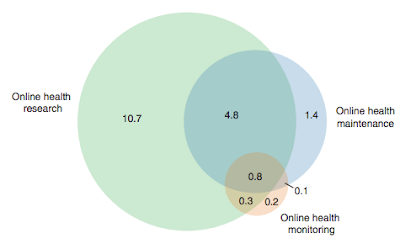 The more income someone has, the more likely they were to use online health monitoring. Because rural residents tend to be older, poorer and in worse health, telehealth services would be useful, but poor internet services and spotty laws are a few of the barriers to greater adoption of such services, Stenberg reports. Education pundit and charter-school proponent Michael McShane says policymakers and researchers can't improve rural education if they don't have a good understanding of it and the more than 9 million children who attend rural schools. McShane is research director of EdChoice, an organization dedicated to promoting school choice, and has just published a book examining rural education. Modern education reform has not considered the unique needs of rural schools, instead using a one-size-fits-all approach that badly serves rural schools, McShane writes for Forbes, and says would-be rural school reformers should heed two tips. The first is to focus on the strengths of rural communities to improve education, such as "leveraging trust, pride and cohesion." 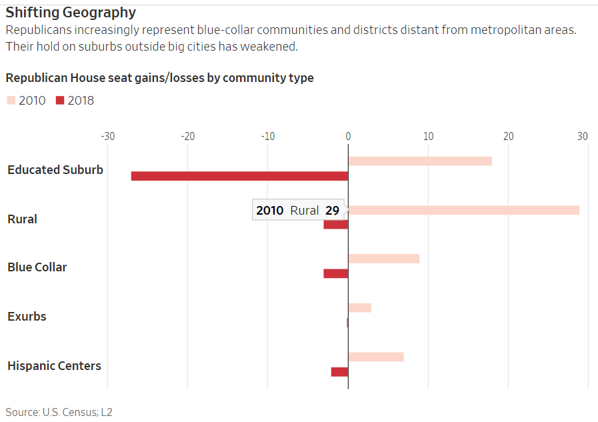 Rural communities have long-resented and resisted the efforts of urban dwellers who come to their towns and try to fix schools without understanding the communities. But building on rural communities' greater social cohesion is a better approach, McShane writes. The second is to broaden the goals of education. In order to better prepare rural students for adulthood, schools shouldn't just try to improve math and reading scores on standardized tests. 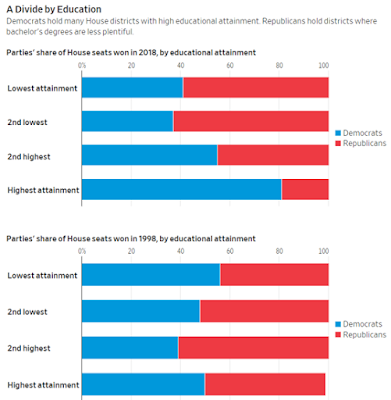 Many rural communities disagree on the best goals for students though. A good education often leads the best rural students to leave town for college and never come back, so some communities want to make sure there are jobs available in town and prepare students for them. 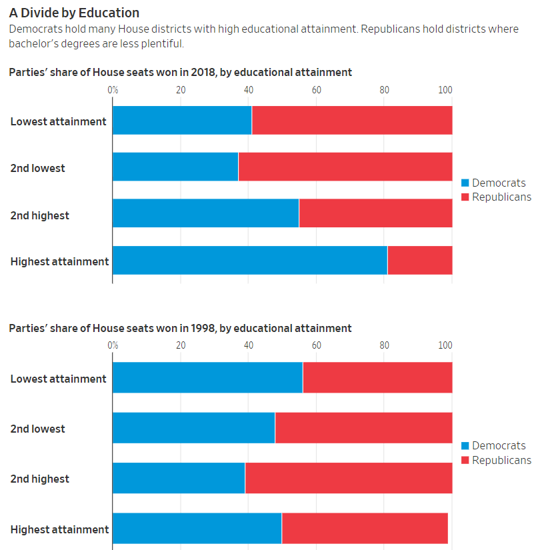 Some communities want to make sure students have better schooling in technical or trade areas. Each community should have the freedom to decide for itself what the best goals for students are and how to accomplish that, McShane writes. "What we can do is try to collect and disseminate as much information as possible so that those families, schools, and communities can make informed decisions about what courses and programs to offer," McShane writes. "We can create flexibility in funding streams that allow schools to offer as broad a range of courses and programs as they can so that each student can find the path most appropriate to his or her goals and abilities. And, we can work with both industry and institutions of higher education to make better links between K-12 schools and the opportunities that follow them so that fewer students fall through the cracks." Tens of thousands of homes have been evacuated because of three fast-moving wildfires in California. Paradise, a town of 27,000 north of Sacramento, was quickly overtaken by the Camp Fire, which started around 6:30 a.m. Thousands fled their homes. Capt. Scott McLean, a spokesman for the California Department of Forestry and Fire Protection, said "Pretty much the community of Paradise is destroyed — it's that kind of devastation," David Li and Alex Johnson report for NBC. 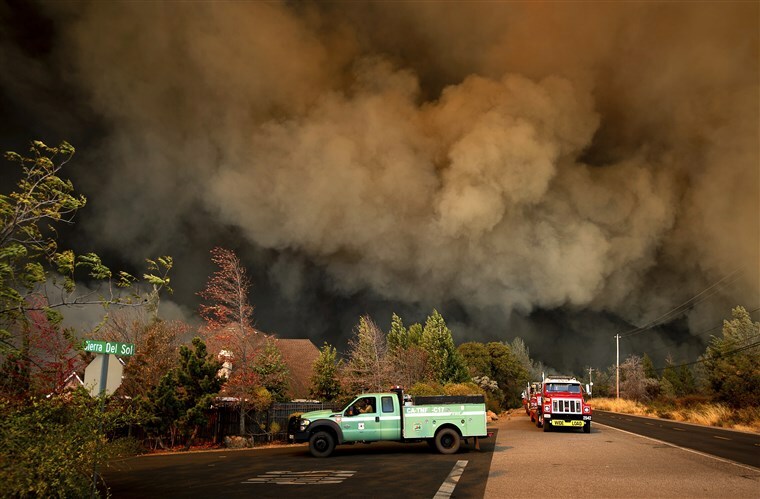 The Camp Fire is now at 70,000 acres and is only 5 percent contained, according to the Chico Enterprise-Record in Chico, a city of about 90,000 near Paradise. The flames have reached but not penetrated Chico. Evacuation from Paradise was difficult because the town is on a ridge and has limited escape routes, Stephen Lam reports for Reuters. 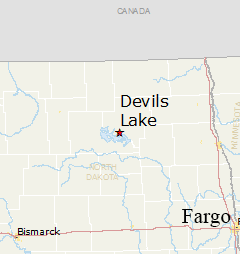 The other two fires are affecting more urban areas in the southern part of the state, though some surrounding small towns have been evacuated. The Woolsey Fire is down in Thousand Oaks, northwest of Los Angeles, and the Hill Fire has reached 10,000 acres in Ventura County, Lam reports. The Democratic takeover of the House "effectively terminated" Republican efforts to add work requirements to the food-stamp program, "although it has not been excised officially," Chuck Abbott reports for Agriculture.com. The election "could be the jolt that breaks the stalemate in Senate-House negotiations over the Farm Bill, headlined by the battle over food stamps," Abbott reports, citing unnamed analysts. "In any case, the Farm Bill was the only item on the agenda for food and ag groups in the lame-duck session. House Republicans are running out of leverage on the Farm Bill, since they will soon lose their majority." “If the House of Representatives wants a five-year Farm Bill … they better fish or cut bait and give up on that,” Republican Sen. Charles Grassley of Iowa told reporters. "Otherwise, he said, Congress was likely to pass a stopgap revival of the farm policy law that expired on September 30 and begin work anew in 2019 on a farm bill," Abbott reports. Democratic Rep. Collin Peterson of Minnesota, who is expected to regain the Agriculture Committee chairmanship in January, told The Hutchinson Leader last week that he warned Republicans four months ago that "this food-stamp stuff . . . was not going to fly. It wasn’t necessarily that I was against so much what they were doing, it was that the Senate wasn’t going to do it." He said Kansas Sen. Pat Roberts, "a Republican, has been the most vehement against this in these meetings, more so than" him and Michigan Sen. Debbie Stabenow, the ranking Democrat on the Senate Agriculture Committee. "He wants a bipartisan bill, and he knows he’s not going to get one if that’s in there. It looks like they will come around on that." The House bill would require “work-capable” adults ages 18 to 59 to work at least 20 hours a week or spend equivalent time in job training or workfare to qualify for food stamps, now known as the Supplemental Nutrition Assistance Program. President Trump said today that he would like to see the bill include work rules, but acknowledged that it would take perhaps 10 Democratic votes to get that done in the current Senate. Yet another way the opioid epidemic is hurting rural America: rural hospitals are ill-equipped to cope with the rise in infants born addicted to opioids. The number of mothers with opioid use disorder and babies with neonatal abstinence syndrome has increased in the past eight years; in 2018 a baby with NAS is born every 25 minutes in the United States. "A new study in The Journal of Rural Health shows that almost half of pregnant women with OUD living in these areas give birth in rural hospitals, which are not necessarily equipped to deal with their complex medical needs," Annabelle Timsit reports for Quartz. Besides the long-term behavioral, developmental, and health problems triggered by NAS, it can also cause problems like diarrhea, vomiting, high fevers and seizures for up to six months after birth. That means they tend to stay much longer in the hospital than the average newborn and need intensive and sustained treatment. Opioid-addicted mothers are at higher risk of medical complications during pregnancy and after birth, like placental abruption, preterm labor, maternal obstetric complications, and fetal death. Many rural hospitals don't have the resources to care for such infants and mothers, especially since fewer than half of rural hospitals in the U.S. offer obstetrical care at all, Timsit reports. 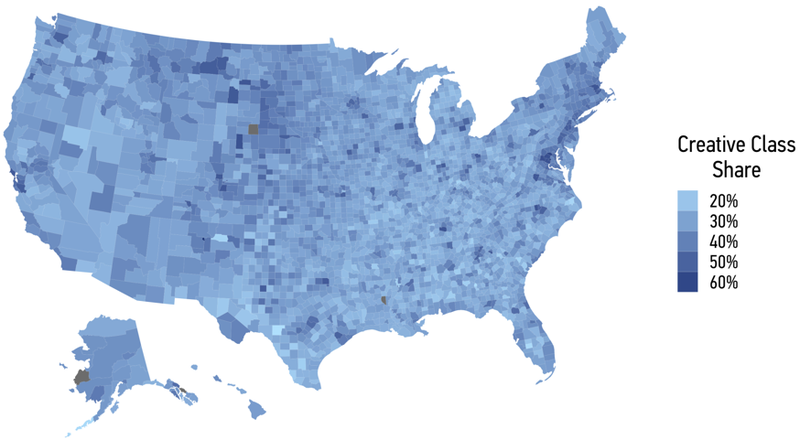 University of Minnesota researchers gleaned the data for the study from the hospital discharge records of 950,000 rural mothers who delivered 980,000 babies between 2007 and 2014. "The researchers measured the incidence of maternal OUD among rural residents who gave birth in urban teaching, urban non-teaching, and rural hospitals," Timsit reports. "They found that maternal OUD rates had increased between 2007 and 2014 across all three hospital categories, including rural hospitals, where 48.3 percent of rural residents with maternal OUD give birth." The number of homeless veterans in the U.S. dropped by more than 5 percent in the past year and is half the figure of 2010, the Trump administration announced last week. "The number of homeless veterans had fallen for six consecutive years before ticking up slightly in 2017," Eric Katz reports for Route Fifty. "The departments of Housing and Urban Development and Veterans Affairs have led an interagency effort to eradicate veterans homelessness since President Obama in 2010 announced a goal of ending the problem entirely within five years. There are now about 38,000 homeless veterans, according to the government’s count." The HUD-VA Supportive Housing Program pairs VA case management and clinical services with HUD rental assistance offerings, and helped more than 4,000 chronically homeless veterans find permanent housing in the past year, HUD Secretary Ben Carson said. Finding housing for homeless vets is difficult because many have fallen through the cracks and off the government's radar, Carson said. VA Secretary Robert Wilkie said the VA doesn't know how many veterans need help because many haven't contacted the agency for more than a decade. He also said issues such as opioid addiction and mental health must be addressed to reduce homelessness.